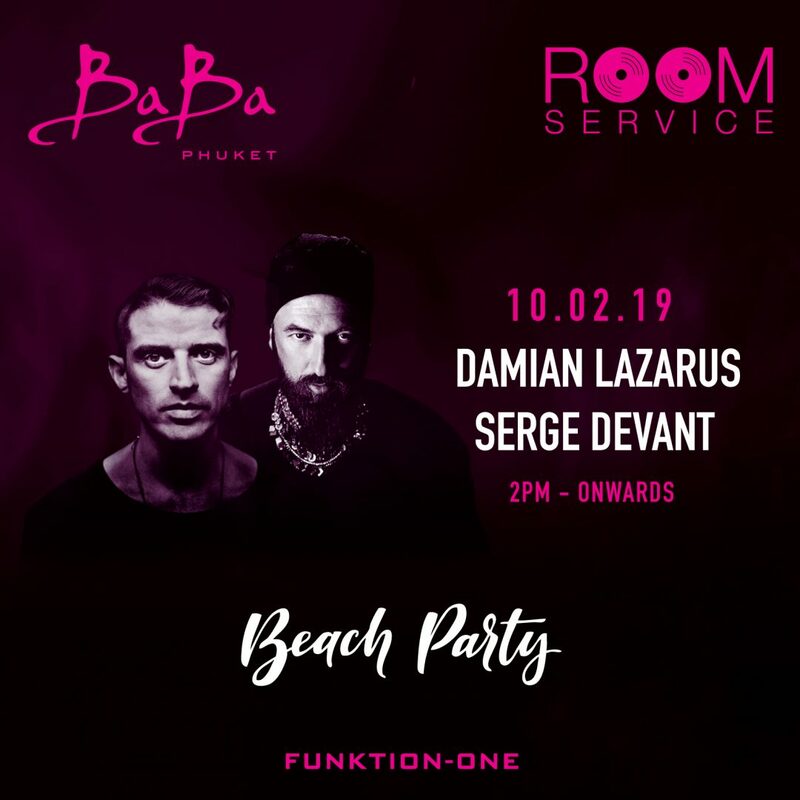 February 10th, a special Sunday Beach Party with Damian Lazarus Serge Devant who will bring their signature house sounds to Baba Beach Club Phuket. Escape to our Music Lovers’ oasis on Natai beach for an elevated weekend experience. New York resident Serge Devant is turning heads. Jamie Jones, Lee Foss, Damian Lazarus and Hot Since 82 have already acknowledged that there’s a new and extremely impressive producer on the scene, and with releases on their labels it’s easy to see why. Serge is a producer rapidly making a mark.